The Wolfgang® WG Standard boasts the same style and massive sound Eddie Van Halen created—at a price the everyday musician can afford. 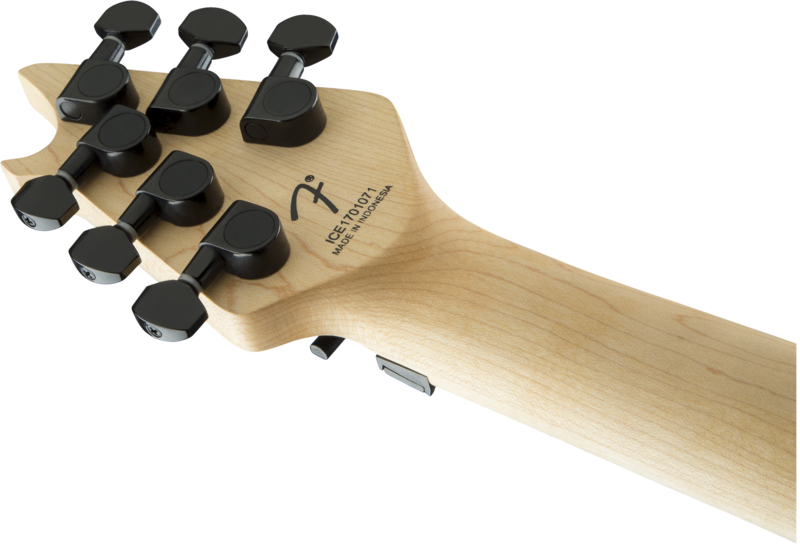 Offering many of the blazing features as its more expensive brethren, the Wolfgang WG Standard has a basswood body with special “comfort cut” forearm contour for maximum playing ease. 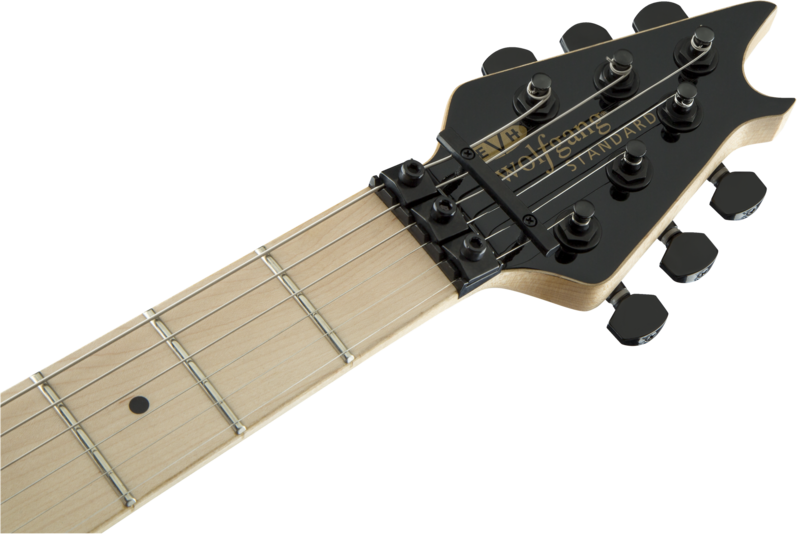 Its bolt-on maple neck with graphite reinforcement rods hold strong against the ravages of temperature and humidity, while a conveniently located spoke wheel at the base of the neck makes for quick and painless truss rod adjustments. Designed for comfortable playability and speed, the WG Standard also features an oiled neck back finish and a 12”-16” compound radius maple fingerboard with rolled edges, 22 jumbo frets and black dot inlays. 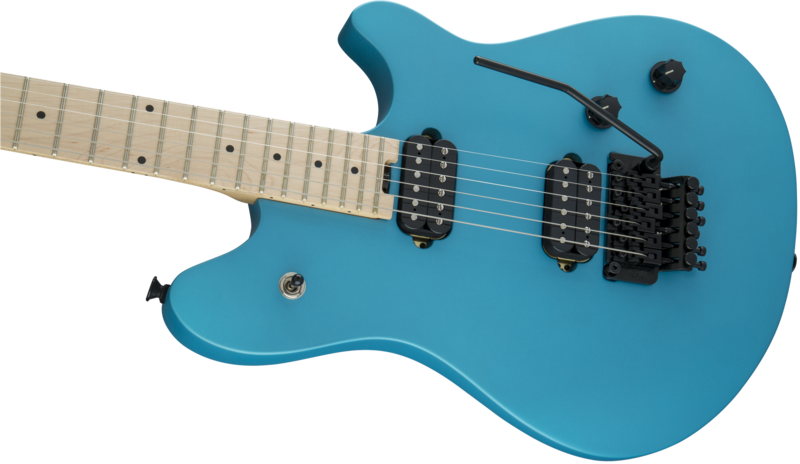 Dual EVH® Wolfgang humbucking pickups mounted directly to the body increase vibration transfer, resulting in sustain for days on end. Two black speed control knobs have been dialed-in to Van Halen’s exacting specifications—the smooth-feeling 500k pots make it easy to find a unique sound while retaining the crisp high-end sparkle of the Wolfgang pickups. 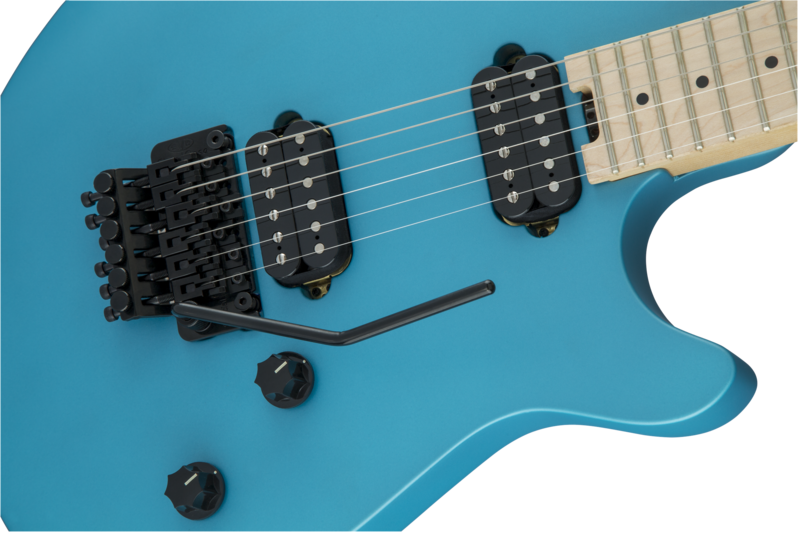 The EVH-branded Floyd Rose® Special bridge and R2 locking nut consistently keep the guitar in tune through the deepest whammy dives and horse whinnies. 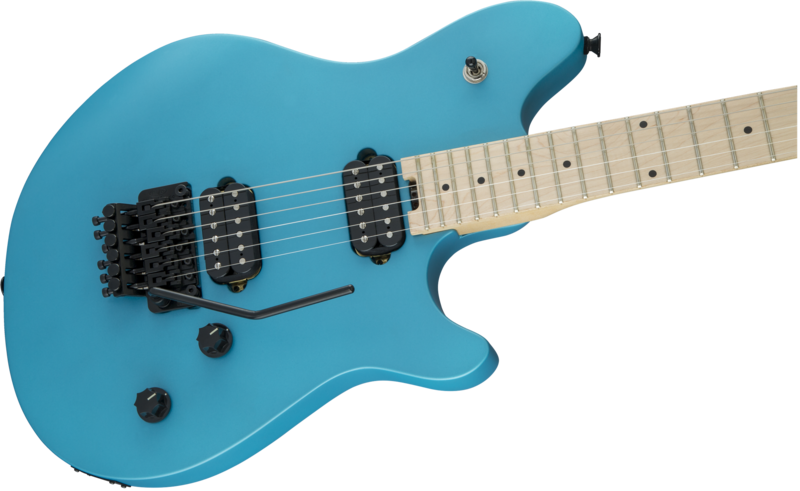 Tested where it counts— live onstage— the Wolfgang WG Standard is decked out for playing performance and comfort and is available in a stage-stealing Matte Blue Frost with black headstock and black hardware.